Bhang Corporation will host two “educational sessions” on Friday (February 15) and Saturday (February 16). to offer consumers a closer look at the Bhang product line and to familiarize themselves with the best approach to edible product consumption. This move is being done by Bhang as a way to more properly introduce its lauded line of edibles to Canadian consumers as the brand holds partnerships that will kick in this year to sell its items in Canada. Bhang has a joint venture in place with Indiva (TSXV:NDVA,OTCQX:NDVAF) for the manufacturing and distribution of its products once edibles become legal in the Canadian cannabis market. Indiva also secured a five-percent stake in Bhang through its partnership. Due to this deal Indiva is looking to move its stock to the Canadian Securities Exchange (CSE). The Canadian firm is eyeing an entry to the Ontario retail market following the fallout from a provincial lottery that awarded 25 winners with a license for a store location. In January, Indiva made an investment into RetailGo in the pursuit for its retail presence to contribute leases for 10 proposed retail locations in Ontario. 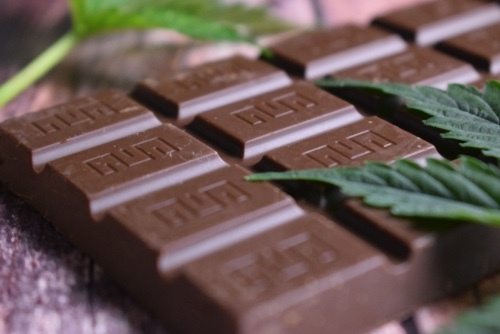 The edible products from Bhang, most notably its line of chocolates, have gained awareness in the fractured US marijuana market with Bhang even been recognized with multiple awards for its products. The information sessions in Toronto will be hosted at two 180 Smoke locations in Toronto. The company behind these vaporizer storefronts is set to be acquired by Origin House (CSE:OH,OTCQX:ORHOF). The much anticipated entry of edibles and infused products into the Canadian cannabis market is set to arrive no later than October 17, a year after the adult-use legalization of cannabis in the country. Despite the excitement for the edible market, in a recent interview with Bloomberg Bill Blair, Minister of the Cannabis Act, said the official start for edible sales is not guaranteed to be the same as the passing of policy on its legalization. Bhang is currently pursuing a listing in Canada through the CSE, signifying a maturation in the public market from pure grower plays to now even brands listing. Fellow brand and edible focused companies Dixie Brands (CSE:DIXI) and Plus Products (CSE:PLUS,OTCQB:PLPRF) have both reached the CSE as a way to raise capital through Canadian investors. In addition to its future entry in Canada, Bhang offers cannabis and hemp products in the US market, through partnerships. The company’s products are currently available in California, Illinois and New Mexico. The company has also expanded to Florida, both with a new headquarters location in Miami and an agreement with Trulieve (CSE:TRUL) to have its products in the Florida market.